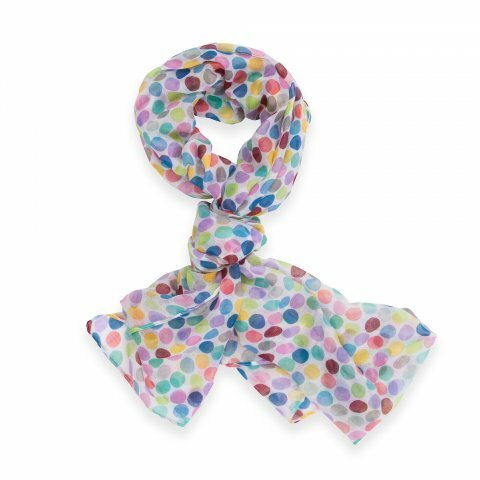 Colorful polka-dots are scattered across this semi-sheer scarf that is finished with a handkerchief hem. The generous size lets you use it in a variety of ways; as a scarf, bathing suit sarong cover-up or evening wrap! This scarf is SUPER soft!! Wear it with any solid color to add the WOW factor to your outfit.